I like this type of wine a lot because when you find a decent one, you have a simple but enjoyable wine that you can open and drink right away. That makes it great to keep around for those occasions when you want a glass of wine now but you do not have half an hour or so to wait while something more subtle takes its time to breath. It has an open fruity taste which will please even people unused to red wines. It is certainly worth having a bottle or two of this wine ready for action. Wine rating 6/10. Value +1. 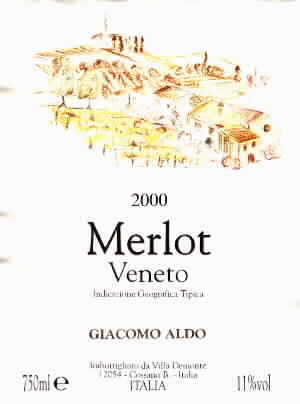 Bottled by Villa Demonte, Cossano, Italy.